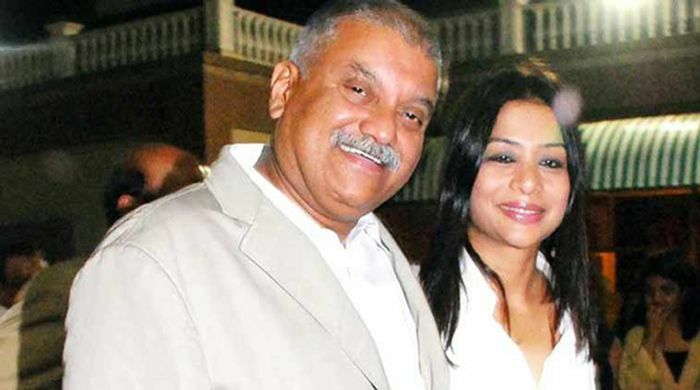 Former Star India CEO Peter Mukerjea, 46, marries HR consultant Indrani Mukerjea, 30, in 2002. Both had been married once before. Peter Mukerjea has two sons from his previous marriage, one of them being Rahul. Sheena Bora comes to Mumbai to live with the Mukerjeas. After her graduation from St Xavier's College, Bora joins an airline. Indrani introduces Bora as her sister to Mumbai's social circles. Sheena and Rahul start seeing each other. In 2012, Sheena, then 24 years old, disappears. That's when things start becoming mysterious. A missing report is filed in Mumbai's Khar police station in May 2012. But Indrani tells her husband as well as her friends that Sheena has moved to the UK. Fast forward to August 2015. Mumbai police picks up Indrani's driver Shyam Rai in a case involving an unidentified pistol. During interrogation, Rai spills the beans, revealing his involvement in killing Sheena Bora, and names Indrani Mukerjea. He is taken by the police to the murder site in Lonavla where the alleged charred remains of Bora is found. Indrani is arrested by Mumbai Police along with Rai and charged with murder, kidnapping and the destruction of evidence. Mystery solved, right? Nope! This morning, The Telegraph broke the story that Sheena wasn't Indrani's sister, but in fact her biological daughter from her previous marriage. In fact, she had two children - Sheena and Mikhail Bora. Read More: Sheena Bora murder mystery: sister or daughter of Indrani Mukerjea? Sheena grew up with her brother at their maternal grandparents' house in Guwahati. Mikhail also spoke to the media from Guwahati and claimed that Sheena was indeed Indrani's biological daughter. Mumbai Police has now verified this. The questions, however, remains: Why did Indrani kill Sheena? Peter Mukerjea seems to be clueless. In a series of telephonic interviews to news channels, he claimed he wasn't aware of the exact nature of the relationship between Sheena and Indrani and his wife had always asked him to stay away from her family affairs. He did accept that he knew his son Rahul was seeing Sheena and that both Indrani and he were not comfortable with their relationship. Between all this, Tehelka has offered a possible motive. According to the news magazine, Peter and Indrani had siphoned off a huge amount of money from the Singapore-based company Temasek, which had invested in Mukerjea's INX Media, later renamed 9X media. This money was distributed among various relatives of the Mukerjeas, including Sheena. Tehelka claims that Sheena refused to return the money and that this could be a possible reason for the murder. Note that the police hasn't officially accepted this theory. There is no way for Catch to verify this claim. Indrani's ex-husband Sanjeev Khanna was arrested by Mumbai and Kolkata police for his alleged involvement in the murder. Mikhail Bora has said that he has evidence to show why his mother killed Sheena. According to The Indian Express, he has promised to release certain pictures that have incriminating evidence against Indrani on 31 August. Now, reports have emerged that there was a plot to kill Mikhail as well. In its investigation so far, Police has claimed that Sheena was killed on 24 April, 2012.